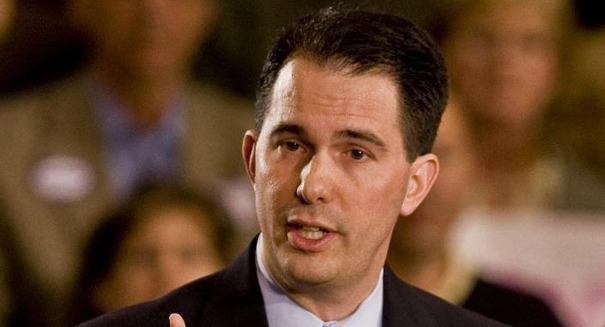 In an interesting show of political calculation, Wisconsin Governor Scott Walker has decided to weigh in on the case of the Kentucky clerk who refused to grant marriage licenses to gay couples. Yesterday, a federal judged ordered Kim Davis, 49, to be placed in jail until she agreed to do her job. Davis refused claiming that her Christian faith would not allow it. She has reportedly been a devote Christian for the past four years. What does this have to do with a 2016 presidential hopeful from Wisconsin? It is the perfect opportunity to not only vent beliefs of constitutionality but to also reveal opposition to the Supreme Court decision to legalize gay marriage. The candidate urged law makers to find a middle ground between obeying the law and upholding one’s Christian beliefs. “I’ve just got to think there has … to be some sort of reasonable accommodation that would allow this woman to practice her religious rights …” Walker added. As of writing, the Senator of Kentucky and 2016 presidential candidate Rand Paul has yet to comment on the matter.